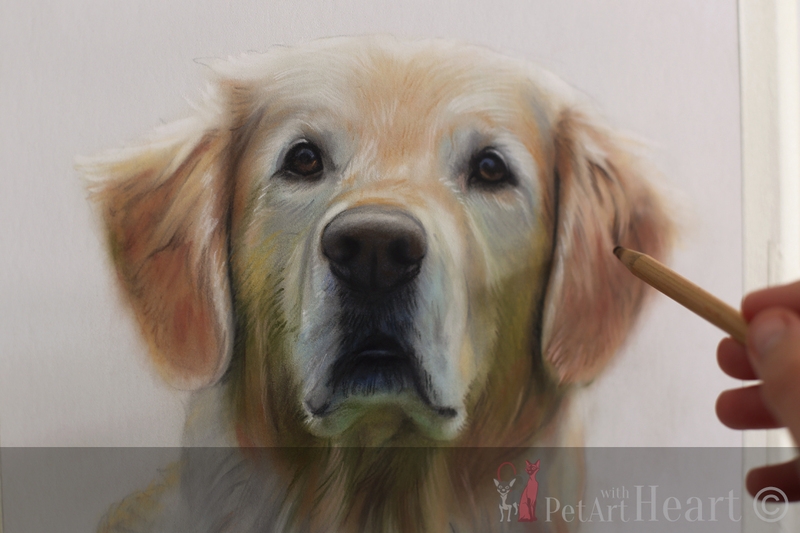 While I’m waiting for a framing to get delivered for the previous portrait I’ve done, I started up the dog portrait in pastel of a Golden Retriever. 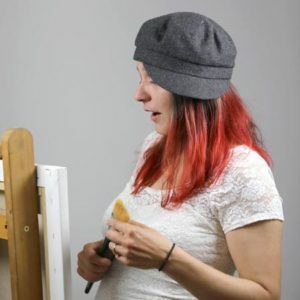 The two portraits both have the same deadline, May 25th. This is the initial sketching stage where I use only hard pastels blended with pastel pencils. In next stage I will start combining soft pastels and pastel pencils for details, slowly building up layers. Can’t wait to continue, it’s so fun painting with pastel! The soft pastels are the ones which makes everything so vibrant and soft and without them I would’t be happy with the result. 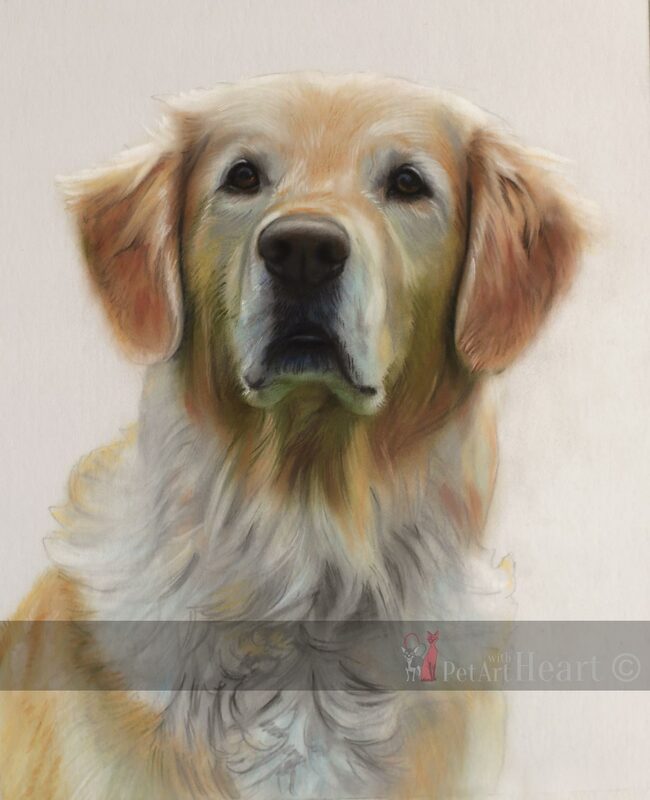 This dog portrait is painted in size 30x25cm, not too large however still large enough to include all tiny details. I took a few photos wile working on this dog portrait today, view them below.